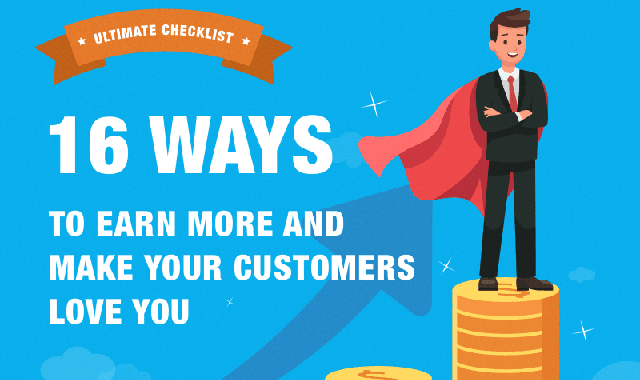 16 Ways To Earn More and Make Your Customers Love You #Infographic ~ Visualistan '+g+"
You want to rapidly increase sales, sign ups, or simply clicks on a button, but how do you get started? There are thousands of things you could do and some work better than others. It can be challenging to choose. Here’s a comprehensive checklist compiled by Asgard Analytics of 16 essential things you could do to rapidly improve your website so you can earn more and make your customers love you.